Manny started his career as a professional artist in 2006 under the business name of MannyJArt. After graduating with an art education degree from Monmouth College in 1969, and a short tour with the US Navy as a naval photographer, Manny taught art to underprivilage children in various social service and recreational programs in New Jersey, Maryland and Maine for over 14 years. After studying watercolors with Pat Dews and Sally Bradenburg, Manny developed his artistic style of "plein air" painting through his involvement with the Plein Air Painters of the Jersey Coast in 2004. It wasn't long thereafter and with numerous solo and group exhibitions in Central New Jersey, sale of his art work continued to grow. Influenced by watercolor masters such as Winslow Homer, John Singer Sargent and recently with world renowned contemporary artists David Curtis and Joseph Zbukvic, Manny has developed his own style of painting watercolors in the representational and impressionistic tradition. He has studied with artists Frank Francese, Robert O'Brien, Timothy Thies, Don Andrews and most recently with Janet Rogers. He retired from the US Postal Service in 2008, sold the home in Middletown, NJ, purchased an RV and embarked with his wife Kathryn on an adventure to RV travel full-time across the country. Along the way Manny painted with artists and joined art groups such as the San Antonio Watercolor Group, Acadia Plein Air (Me. ), International Plein Air Painters (Ontario), Delray Art League (FL) and the Coastal Fine Art Alliance of Maine. After four and a half years of full-time RVing, and reaching as far as Alaska in their travels, Manny and Kathryn, in 2012, settled down in Boynton Beach, FL.. They spend their winters in Florida and summers on Mt. Desert Island and Bar Harbor, Maine. 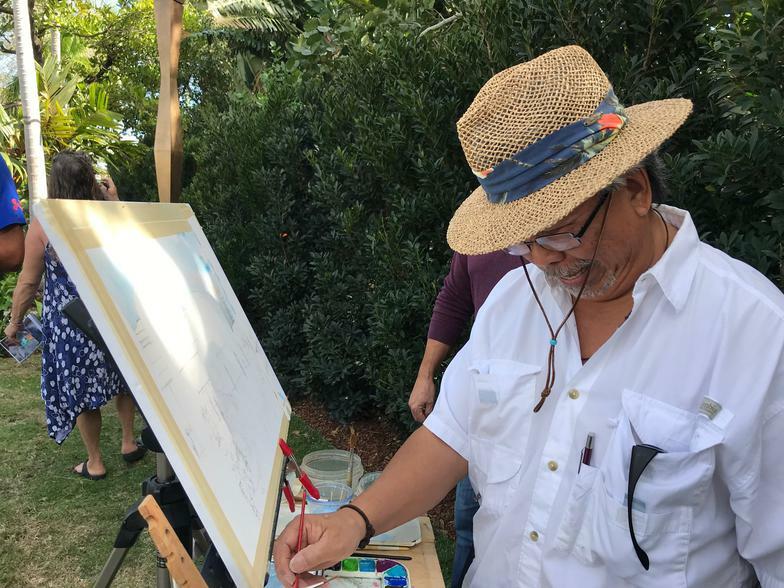 Manny has utilized his art education background by teaching watercolors for the Palm Beach County (FL) Adult Ed Program and is currently a faculty member at the Delray Beach Center For the Arts. He also teaches privately; individuals and small groups in a six or eight week program for beginners and intermediate level watercolor painting. The artist considers himself to be a plein air watercolorist. "Plein air" refers to a method of painting outdoors on site as opposed to painting primarily inside or in a studio. A plein air artist has to contend with the outdoor elements of light, wind, weather and in many cases curious onlookers.The term was first coined by the French Impressionists in the 19th century and in the last two decades, plein air painting has enjoyed tremendous popularity among collectors, museums and galleries as well as artists throughout the entire art world. Manny exhibits his art regularly in Florida and Maine. His paintings are found in private and corporate collections throughout the United States, Canada, Australia and United Kingdom. 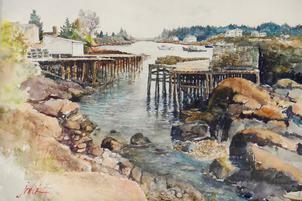 He is currently represented by the Works of Hand Artist Gallery, Winter Harbor, Maine. The artist's art work will be on display at Delray Art League's, "Artist in the Park" outdoor exhibitions from January to April, 2020. He is a juried artist in the Wellington Art Festival, JAN. 26th & 27th. 2020.